Order the Best Quality Batiste Slub Voile Sample Swatches available in 2 colors. 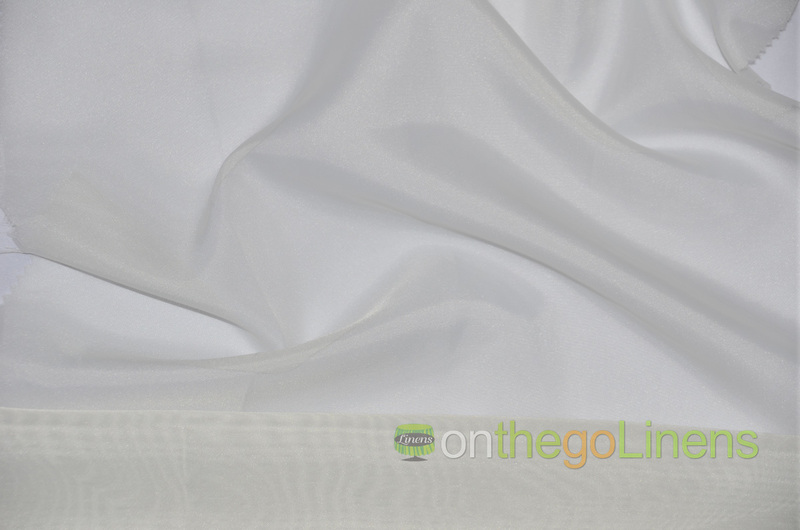 Fabric Description: Batiste Slub Voile is a great fabric for sheer curtains, window scarves and canopies. Slub Vole has a textured slub texture. Very similar to a raw silk. Fabric is 100% polyester – this fabric is not cotton or contains any cotton. Minimum: Roll size is sold by the 110 yards by the bolt. No Minimum Yardage when Fabric is sold by the Yard. We always suggest prewashing the linens before use. The Golden Rule to this suggest when you prewash fabrics, be consistent. For example, either prewash all your fabrics, or do not prewash at all. Batiste Slub Voile should be Hand washed in warm water (30 degrees Celsius/86 degrees Farenheit). Do Not use Chlorine Bleach. Iron at Polyester setting only. Do Not tumble dry - dry in hanging position. Dry cleaning is acceptable.